In a bizarre incident of cruelty to humanity, Israeli police shot a 13 years old Palestinian boy and then let him die on the footpath. 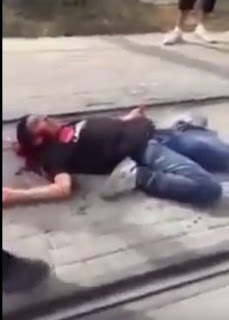 According to news reports, Ahmad was being chased through the Pisgat Zeev neighborhood in Jerusalem, by a mob of Israeli settlers. When Ahmed came across a group of police and IDF soldiers, the settlers told police that Ahmed had stabbed a settler. Without any attempt to apprehend and detain Ahmed to search for a weapon, police opened fire.